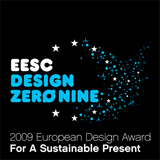 The flashlight Solaris succeeded in Brussels and it was selected for the final international competition of European Design Award for a Sustainable Present 2009. This proposal will be published in the competition catalog and presented at the exhibition in Brussels. You can visit the exhibition from 09/11/2009 (on the address Jacques Delors Building, 99 rue Belliard, 1140 Bruxelles, Atrium 6). New design for cafes and restaurants. Reserve Mattoni tag is made of the quality porcelain unlike the similar plastic and paper accessories. It attracts the interest thanks to its non-traditional elliptical shape. 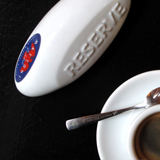 It becomes the constituent part of café culture and you can safely put your cup of coffee besides it. You can buy my latest design in the shops. This is a new 1.5 liter Poděbradka bottle. The horizontal grooving that significantly strengthens the bottle after opening and improves the comfort of the grip is the characteristic feature of the package. 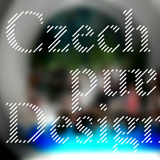 Poděbradka gets a new elegant design, which is built on its rich tradition. It also underlines the uniqueness of the brand. You can choose from six flavors. 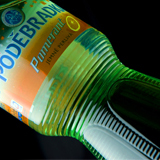 You will not have to wait long for the newly designed 0.5 liter bottle of Poděbradka because it will soon be in stores. 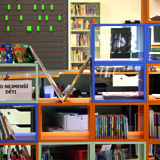 The new public library has been running in Ostrava Poruba since January 2009. The simple aesthetics and the soft furniture morphology based on the functional and ergonomic qualities are the first aspects you notice inside. 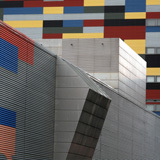 The emphasis was also placed on the easy orientation in the building. The traditional labels on the shelves were replaced by the distinctive signs on the walls, which facilitate the orientation of the readers. The fresh design of this library underlines the expressive chairs made by well known designer Jerszy Seymoor. They offer comfort to readers of all ages. You certainly should not miss visiting this library and seeing its drawn facade. 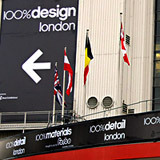 The Design Days were held in London from 13/09 to 21/09/2008. A visitor could visit and see 120 different destinations, concentrated mainly in the city center. The entire exhibition space was divided into four areas, which made the navigation easier.